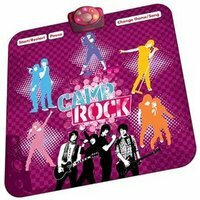 There’s very little information about this mat other than the fact that it has the ubiquitous Jonas brothers on the front, so whether that’s enough of a selling point for you, will be anyone’s guess. It was very well authored and easy to understand. Unlike additional blogs I have read which really not tht are good. I also found your posts very interesting. In fact after reading, I had to go show it to my friend and he enjoyed it as well!